Six (6) Erasmus Mundus scholars from Pangasinan State University were sent off to conduct their Off-Campus Practice Teaching (PT) until March 15, 2019 at Leyte Normal University, Tacloban City. 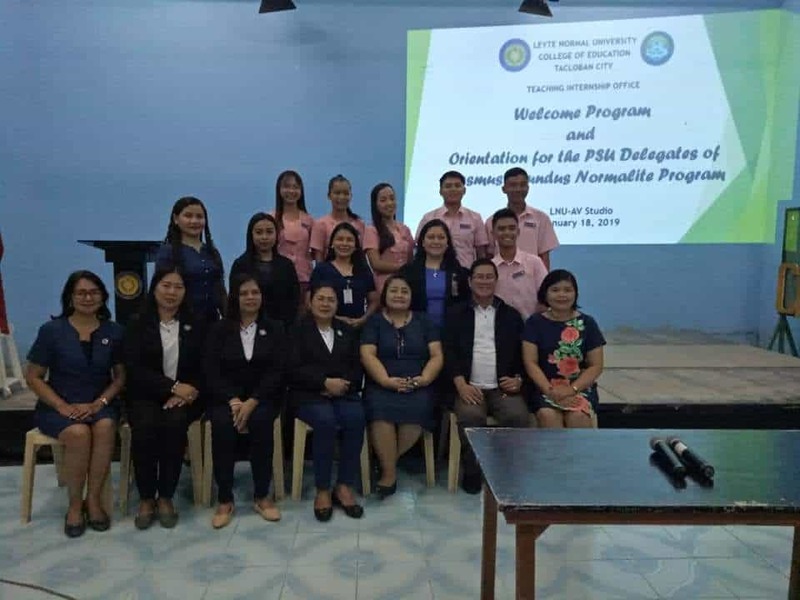 The scholars were accompanied by Dr. Amado Ramos, College Dean of Teacher Education in Bayambang Campus, Prof. Agnes Barruela and Prof. Perla Delos Santos, PT Coordinators of Bayambang Campus and Prof. Cristie Marie Dalisay PT Coordinator of Lingayen Campus. Erasmus Mundus Exchange Practice Teaching program is participated in by National Network of Normal Schools and Universities (3NS) institutions, where PSU is an active member. The scholars are as follows: Marjorie R. Orjeda and Josephine C. Casero (BSEd Physical Science)- Lingayen Campus; Jesabel A. De Vera (BE-EGE ) Mon Emman M. Nargatan (BE-EGE) Andrew C. Sebastian (BSEd Physical Science) Tom Ricsan A. Delos Santos (BSE Biological Science)-Bayambang Campus. The group was warmly welcomed by the officials of LNU headed by the University President Dr. Jude Duarte. 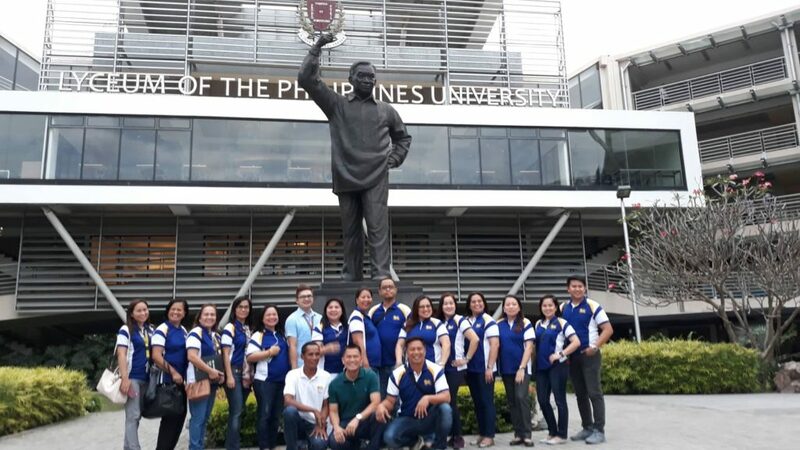 Sixteen university and campus officials from Pangasinan State University (PSU) went to the Lyceum of the Philippines University (LPU) Cavite Campus’ Bayleaf Hotel to attend the Leaders and Educators in the Academe Forum (LEAF) 2019 on February 28 to March 1. A day before the forum, the group visited the campus and was warmly welcomed by the officials who expressed their gratitude to PSU for choosing LPU to have its benchmarking activity. The group was toured around the campus to see its modern facilities, green architecture and engineering design and was introduced to the various programs and best practices of the campus along instruction, research and student services. On the second day, the group were prompted to attend a forum carrying the theme “Millenials and iGen: Universal Truths and Shifting Paradigms in Education,” at the Bayleaf Hotel, Lyceum of the Philippines University-Cavite Campus Hotel. Said forum was poised to provide lively and meaningful exchange of visions, strategies and ideas was a way of safeguarding the aims and aspirations of education in these times of unprecedented innovation and globalization and where information is easily accessed. In the message of J. Prospero E. De Vera, Chair of the Commission on Higher of Education, all administrators, faculty, researchers and educators were encouraged to proactively continue their endeavour in not only gathering the best in the field and in providing quality education that would result in gained knowledge to safeguard our educational system, but to be more keen in the pursuit of innovative, required, and somewhat disruptive process to improve it and to be at par with those globally competitive institutions. According to Dr. Liza L. Quimson, Open University System (OUS) Executive Director, the forum provided them relevant knowledge and useful information that are necessary to address the growing and evolving educational needs of the PSU clienteles— the students. Likewise, said forum equipped them, as administrators, to revisit their policies in order to transform academic environment to be millennial friendly while keeping up with quality education which it is mandated to provide. From being timid and doubtful to bold and fierce artist fighting for her place in the music industry, Janelle Anne Caalim, a 4th Year BS Information Technology student of Pangasinan State University Lingayen Campus (PSU LC) carved a name in the national scene as she showcased her singing skills and consistently performed well at Wish 107.5, an FM radio station in Metro Manila where big stars like Morisette and Moira perform, leading her to notch a spot in the finals. 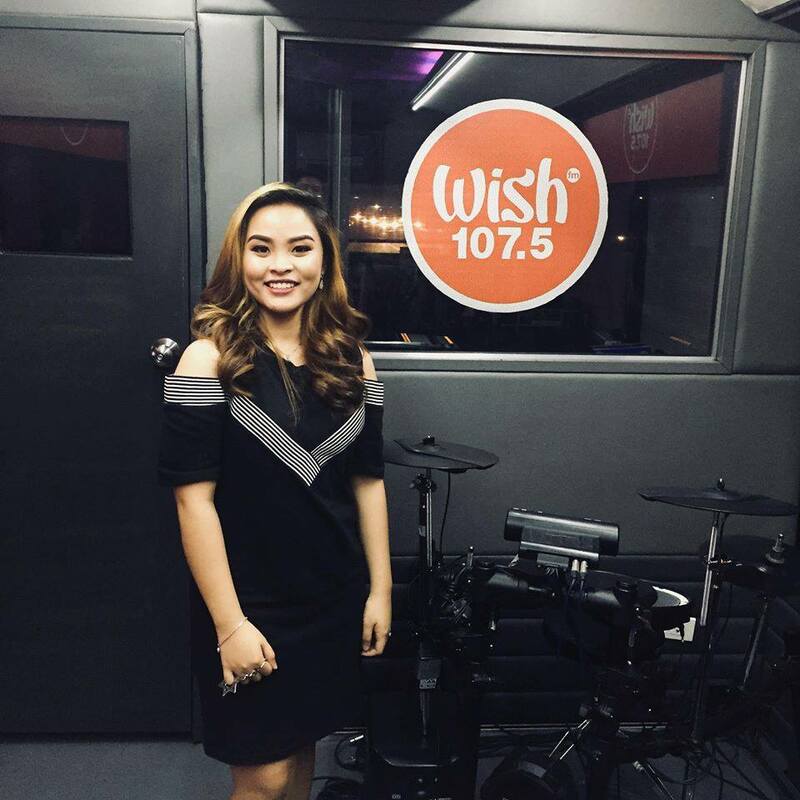 Caalim was one of the five PSU student aspirants who auditioned and was chosen to represent the University for Wish 107.5. The five aspirants were down to only three again furthering Caalim in the competition together with Christian Mark Bautista and Joan Lambino. At the end of the Pre-Qualifying round held at Pampanga, Caalim and Lambino made it to the Top 8 from which judges had to choose to form the final “Fantastic 4” where Caalim earned her spot to the Fantastic 4 paving her way-in to Wish 107.5 Camp Rannie Raymundo. Caalim began her journey when PSU Got Talent came over during the 1st Semester of her 1st Year in the University. It was solely to satisfy her mom and make her proud who was then celebrating her birthday. Never did Caalim realize that it was the start of all her singing competitions, the start of something great to come into her life. As any other performers who are carving a name for themselves in the industry, Caalim has also gone though many hurdles and stumbling blocks before she has reached this point in her singing career. Acknowledging her flaws and shortcomings, Caalim confided that she had come to the magnitude of quitting when she was not still recognized and when winning in a competition was still impossible. More so, now that Caalim already has a voice, she aims at fostering OPM and nurture it once again for this is the identity of Filipino music. She is deeply encouraging the youth to stand with her in this goal and be successful in forwarding her message from every song she will have to sing later on. Dr. Christian Thom Tabisola, Planning Coordinator of Pangasinan State University Lingayen Campus (PSU LC) and a faculty member of College of Business and Public Administration notched the Best Abstract Award for his study entitled, “The Socio-Economic Impact of OTOP (One Town One Product) Entrepreneurial Program in Region 1 Philippines” during the First International Multi-disciplinary Reseacrh Conference at De La Salle Araneta University, Malabon City, on January 25-26. Emancipating his urge to upheave Filipinos from poverty, Dr. Tabisola drew on a study that centers on economic revolt by every town of provinces in Region 1 through the established One Town One Product (OTOP) promotional program of the government of the Philippines. In cooperation with the Department of Trade and Industry and after having gathered all the data needed, Dr. Tabisola arrived at possible interventions to finally advance the OTOP program of the government. “In order to make the OTOP program more responsive to the needs of the entrepreneurs in the Region, it is recommended that equal attention must be given in improving the production efficiencies of rural enterprises, investment in research and development, provide room for improvement in the processed food sector, accessible financing to rural micro and small enterprises and provision of structural reforms to make sure that the business enabling environment is conducive to the creation and growth of rural enterprises,” Tabisola concluded in his abstract. Meanwhile, another three Pangasinan State University Faculty members had successfully presented their research papers on this two-day conference. As DR. Dexter R. Buted, the suspended President of Pangasinan State University (PSU), returns to his seat from the nine-month suspension ordered by the Office of the Ombudsman, PSU Faculty Members, Non-Teaching Personnel and Students warmly welcomed the reappointed president of the university last February 8 at PSU Main Campus. It can be recalled that Buted, along with then PSU Binmaley Campus Executive Director, Marcelo Gutierrez Jr., were put-off their seats as the Office of the Ombudsman ordered their suspension due to the allegations filed by a certain complainant. Hence, more than nine months had passed, Buted and Gutierrez were now again back to the University to continue on serving the students. More so, Buted was reappointed as still the PSU President through the decision of the Board of Regents after its five Evaluation Committee Meetings starting June 1, 2018 to September 26, 2018 as stated in the BOR Resolution no. 84 of 2018. On the fifth meeting of the Evaluation Committee, Buted was given a total rating of 4.49% equivalent to an Outstanding Remarks making him qualified for reappointment. “I was really happy that Sir Buted is now again back in the University and his term was extended. Our luck of having Sir Buted as our president is like finding a clover with more than four leaves. 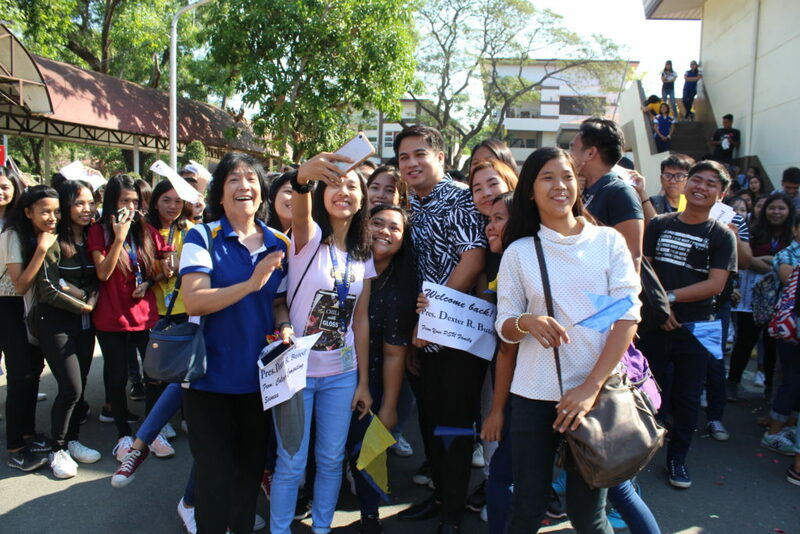 We can really tell that his leadership is extraordinary, pro-student, pro-development, and transparent; that it is something we really need as an educational institution,” expressed by Kimberly G. Rosario, PSU Lingayen Campus Supreme Student Council President. On the other hand, a thanksgiving mass with a short programme, which was attended by students, faculty members, and employees, was prepared last February 11 at PSU Lingayen Campus Convention Hall to formally welcome the University President. The mass started the program, afterwards, Buted had the chance to speak again in front of the PSUnians after his absence for more than nine months as he gave his message. In his message, Buted reiterated his struggles and successes as the President of the University from 2014 to 2018 as well as the time when he got suspended. He also talked about his urge to check on the university from time to time. “I still had to monitor activities here in school amidst my suspension. Nasa dugo ko na at parte ng aking sistema na tuparin ang mga hinahangad ng Unibersidad na ito,” he expressed during his opening message. During his speech, he also thanked the Vice Presidents, University Officials, Faculty Members, BOR members, non-teaching staff, and most especially Dr. Paulo V. Cenas, who served as the OIC, in managing the university while he was out. Buted also reminisced the humble beginning of his term in the University up to the tangible and intangible development which he pioneered. “[Be] proud not ashamed of PSU as [your] school and workplace. Gone are the days of sira sirang upuan, electric fan, tumutulong bubong, terror teachers asking for many contributions, selling of thesis. Even if PSU is a public university, it should have laboratories, classrooms, and services rendered better than the private institutions,” he added. Likewise, the reinstated university president also shared his visions and plans for the development and sustenance of the university in the next years such as: the achievement of the Center of Excellence in Agriculture and Engineering in PSU Sta. Maria and Undaneta Campus respectively; the hike for incentives to increase the number of topnotchers; the attainment of SUC Level V status; continuance of facility and infrastructure updates; and more. After his message, the students, faculty members and non-teaching staff had the chance to raise their questions for the university president and to convey their gratitude as he came back in the university. On the other hand, the Executive Director of Lingayen Campus, Dr. Priscilla Agsalud, also exhibited her gratefulness as she gave her message. “I am glad that we triumphed over all the trials we faced in the absence of our University President but now he is back. Back alongside the good news that PSU ranked 79th among 200 State Universities in the country as the most known Universities,” Agsalud stated.